Yes, you heard right! 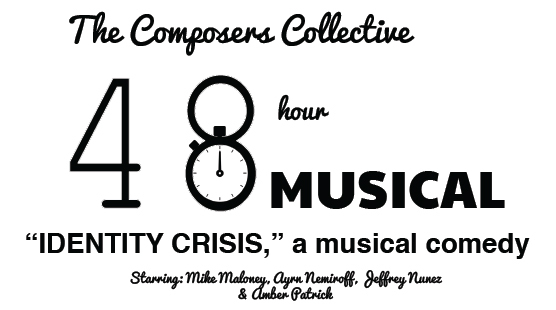 The writing of the music and lyrics and performance of a new musical comedy “Identity Crisis” will all be done within 48-HOURS! This musical marathon is a collaboration between 11 composers of the Composers Collective and 11 lyricists. We are featured in PLAYBILL! The purpose is a fundraiser to support the Composers Collective Fall Orchestra Concert, to be held Nov 14, 2015. Our most ambitious (and expensive) project yet. If you love musical theater, new music, or are a supporter of the arts than join us Sat, Aug 15! Live performance of my solo piano composition at the Composers Collective Spring 2015 Concert. 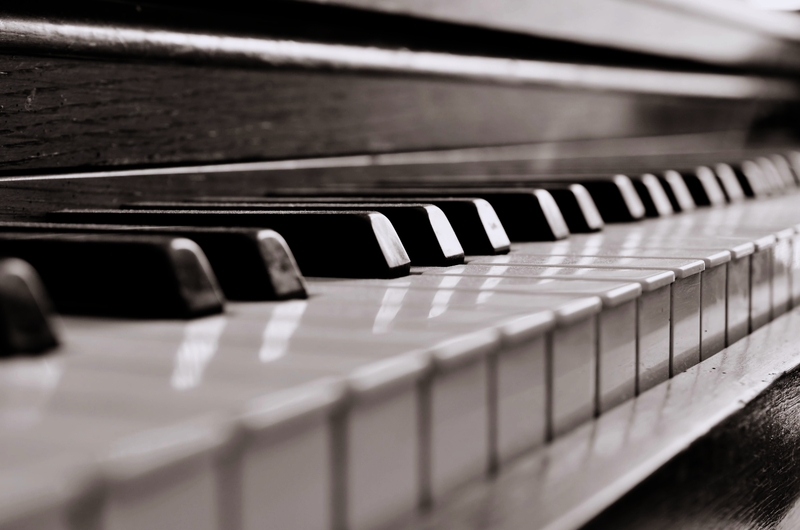 The Composers Collective prepared solo piano compositions for our Spring 2015 Concert. Performed live at the National Opera Center in New York, New York on Friday May 29, 2015. A video of the live performance by Folie à Deux of my piece Shadow Dance at the Composers Collective 2015 Winter Showcase. Enjoy! 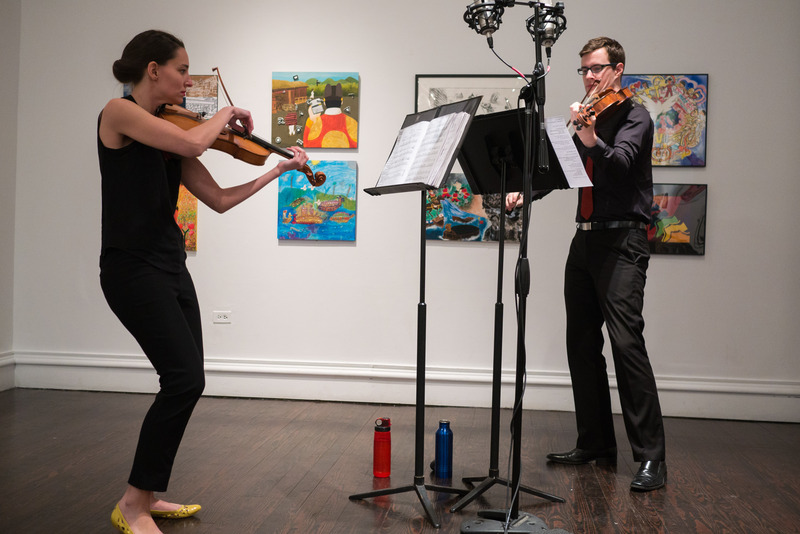 The Composers Collective had a phenomenal 2015 Winter Concert featuring violists Folie à Deux. Read my review of the concert, check out photos, and hear some of the music. 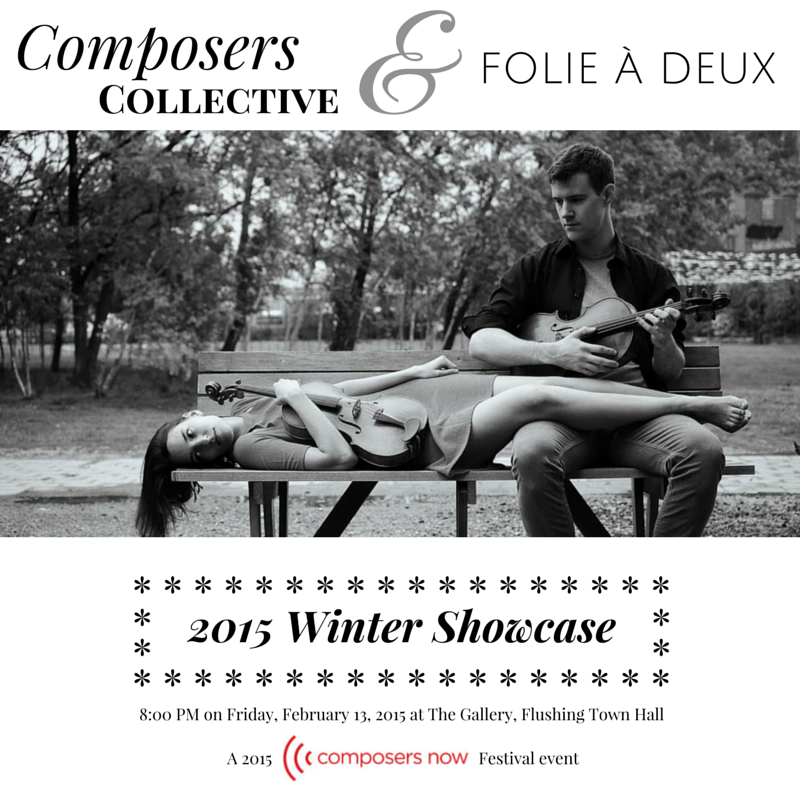 New Music from the 2015 Winter Showcase of the Composers Collective! Links to my piece and a playlist of pieces by the other composers in our group.